Your best bet at faking a flawless face, naturally, is to go with hardworking lightweight products that work towards perfecting your skin without looking like a mask. Undetectable bases are perfect for those no makeup days when you want to emulate that off-duty supermodel glow. 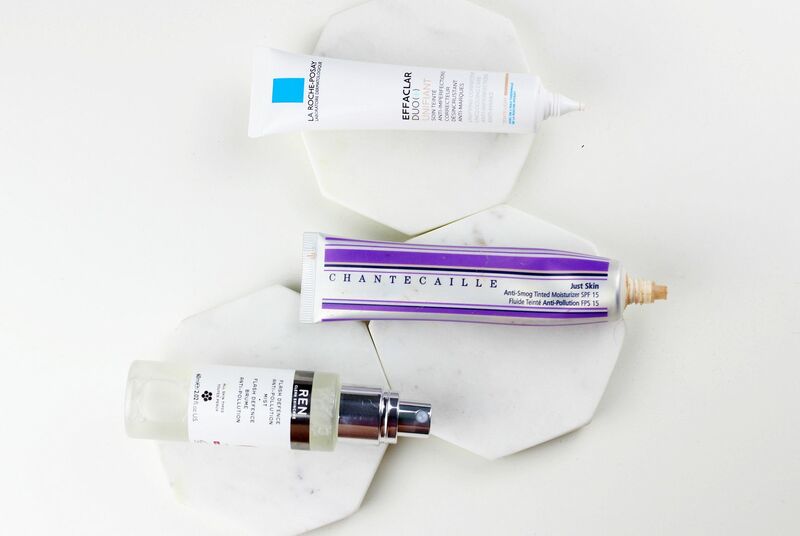 The new kid on the block that’s got me pretty excited is the La Roche Posay Effaclar Duo Unifiant – a tinted version of the best-seller. I am a big, big fan of the original effaclar duo for use on my chin (I’ve used four tubes – thanks, hormones) so I’ve been using this everyday since I got it. It’s by no means full coverage but the tint of it does a nice job of blurring away blemishes and calming everything down. It acts as a nice primer as well, and can be used as a barrier to stop foundation from clogging your pores. Clever stuff. The base that brings some serious glow is the Chantecaille Just Skin. Expensive, yes, but it leaves such a beautiful and natural finish on the skin. It’s a really thick and creamy tinted moisturiser, so perfect for drier skins – it’s the best thing for melting seamlessly into the skin. It doesn’t endure a full working day (I rest my face on my hands a lot! ), but when I want the glow this gives, I mix a bit with a heavier foundation. The, to finish things off and make sure everything is as seamless as possible I like using the Ren flash defence mist – it’s nice and light so it doesn’t make the skin feel wet but it does do a lovely job at freshening the complexion up.